My learning logs from day to day work experience about Integration platform using Microsoft technologies. Do you feel difficult to keep up to date on all the frequent updates and announcements in the Microsoft Integration platform? Integration weekly update can be your solution. It’s a weekly update on the topics related to Integration – enterprise integration, robust & scalable messaging capabilities and Citizen Integration capabilities empowered by Microsoft platform to deliver value to the business. If you want to receive these updates weekly, then don’t forget to Subscribe! Our 2019 Resolution: Help you transform your 2008 server applications with Azure! One Dev Question – What is the relationship between Visual Studio and Visualt Studio Code? 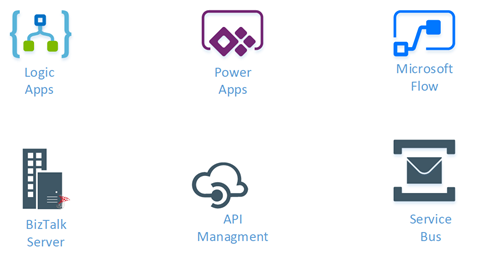 How get started with iPaaS design & development in Azure? Hope this would be helpful. Please feel free to reach out to me with your feedback and questions. Leave your email and keep tuned! Sign up to receive email updates on every new post! Most awaited Azure Table Storage Connector is available now! The source was not found, but some or all event logs could not be searched. To create the source, you need permission to read all event logs to make sure that the new source name is unique. Inaccessible logs: Security.